Tensions from the upcoming Italian election have spilled over into in Vaughan, Ont. 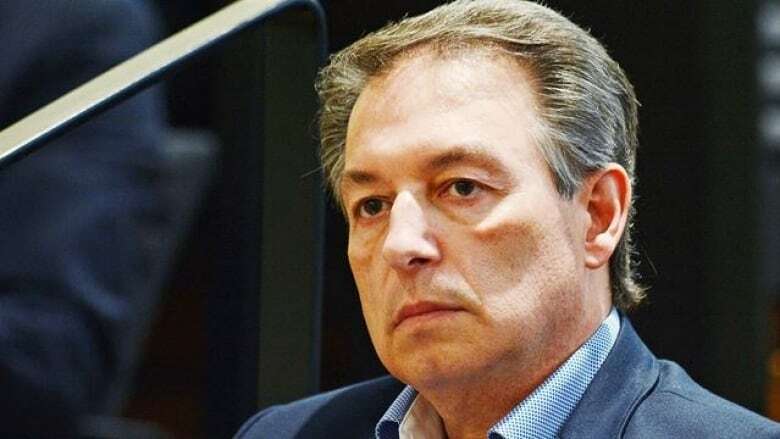 after Vaughan Mayor Maurizio Bevilacqua endorsed a candidate for the Italian senate who is aligned with a controversial right-wing coalition of political parties. Bevilacqua has endorsed well-known Toronto area developer Mario Cortellucci, who is running for the Central and North American seat in the Italian senate, a position meant to give a voice to Italian citizens living abroad. 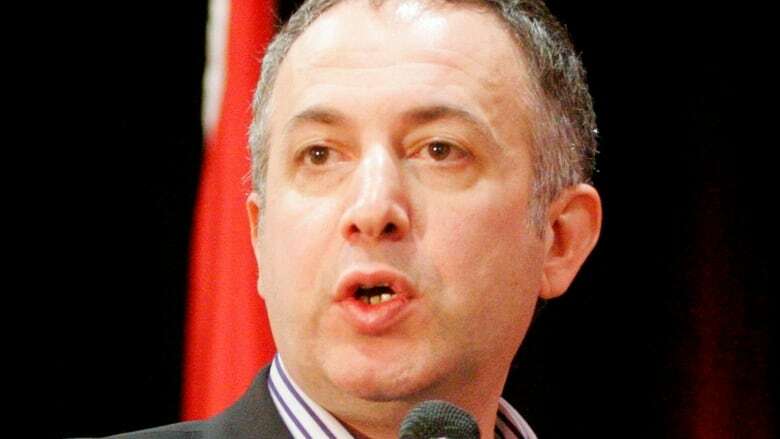 That doesn't sit well with Richard Lorello, a citizen of both Canada and Italy and a Vaughan municipal activist who has criticized Bevilacqua, as well as a number of other politicians, in the past. He said alarm bells went off about the endorsement after seeing what ticket Cortellucci was running under in the March 4 election — a coalition of parties he describes as "extreme right, ultra-nationalist." "When [Bevilacqua] stands up and endorses a coalition like this, he is speaking for all of us. I think that's offensive. It's not who we are as a city, it's certainly not who we are as a country," said Lorello, who filed a complaint with Vaughan's integrity commissioner on Wednesday. Lorello, who last took Bevilacqua to task for his serving on the board of a bank that specializes in part in land development financing, has made several unsuccessful runs at public office, including in a federal race against Bevilacqua in 2008. 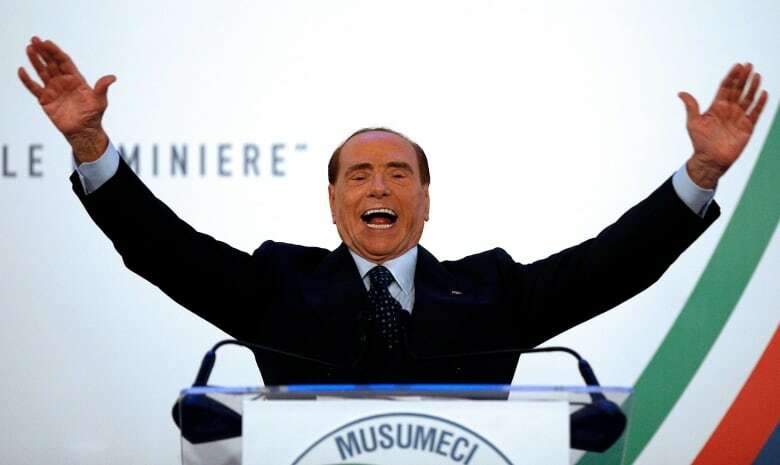 The coalition, led by Silvio Berlusconi, Giorgia Meloni, and Matteo Salvini, has made headlines in the lead-up to March's election with promises to close Italian mosques and remove hundreds of thousands of migrants from the country. "Their major policy in terms of platform is anti-immigration," said Pietro Pirani, a professor at Wilfrid Laurier University. "In a very similar way as Donald Trump, from that point of view." Salvini's party, Northern League, also garnered attention this month after it was revealed that a right-wing extremist suspected of shooting six Africans in central Italy ran unsuccessfuly for the party in a local race last year. In his complaint, Lorello argues that Bevilacqua's endorsement demonstrates a lack of respect for various diverse groups in Vaughan and violates the city's Code of Ethical Conduct for Members of Council. "We have a large community of Muslims in Vaughan, we have LGBTQ," he told CBC Toronto, adding that he'd like an explanation and apology from Bevilacqua. He also clarified that he had no issues with Cortellucci or his decision to run. "He can run for whatever political party he wants," said Lorello. Cortellucci's race is a crowded one, with more than 10 other candidates vying for the Central and North American senate seat. Also concerned is Enio Zeppieri, a Jewish Italian-Canadian and Vaughan resident who wrote to the Centre for Israel and Jewish Affairs to outline similar concerns to Lorello's. His letter was included in the integrity complaint. Zeppieri takes particular issue with the mayor's endorsement of Meloni, the leader of the "Brothers of Italy" party, who reportedly angered the Jewish community after promising to rename a street in Rome after a famous Italian fascist. Thus far, Bevilacqua's endorsement has taken the form of a pre-recorded robocall in Italian, an Italian interview on CHIN radio, a station that broadcasts in a range of languages, and appearances at Cortellucci's campaign events. Part of the problem, Lorello says, is that in communications like the interview, Bevilacqua fails to mention Cortellucci's party affiliation. "I think the fact that the mayor endorsed Mr. Cortellucci without mentioning the political parties that he's affiliated with was completely dishonest of him," he said. Lorello's said he's concerned that some voters may be swayed by Bevilacqua's endorsement alone. "In a way that's sort of taking advantage of Italian seniors here who can vote, because they may look to the mayor and say, 'Well, his endorsement is good enough for me.'" Suzanne Craig, Vaughan's integrity commissioner, was unable to confirm she had received Lorello's complaint or if she planned to investigate or dismiss it, but spoke in general terms to CBC Toronto about the ethics of political endorsements from members of council. "Members of council are also private citizens, so members of councils may in their private sphere have political affiliations, may endorse political parties," though with some limitations, she said. Assessing a complaint against a mayor has an added dimension, she explained, since the mayor has multiple functions, including "the cultural and the economic representative and voice of the city. "In any code complaint, especially as it relates to the mayor of a municipality, I would have to take into account the broader mandate, and the broader statutory role," she said. If Craig decides to proceed with an investigation into Lorello's complaint, the results will become public when she submits her final report to Vaughan council. Bevilacqua responded to inquiries from CBC Toronto with a statement expressing admiration for Cortellucci's success, generosity, and dedication to the community. "I will continue to work with Mario to ensure Vaughan remains a welcoming, inclusive and dynamic city where the quality of life is safeguarded and elevated for everyone — no matter a person's ethnicity, culture, faith or sexual orientation," he wrote. When asked about whether he agreed with the ideological underpinnings of the Berlusconi/Salvini/Meloni ticket, he responded that he believed in "inclusive societies where the quality of life is improved for everyone regardless of ethnicity, culture, faith or sexual orientation. "I do not support any effort that works against this unbreakable covenant that I have always maintained," he concluded.